Researchers find gains, losses in reviewing natural versus human factors shaping the expansion of the tropics since the late 1970s. Much of the current expansion of the tropics arises from natural atmospheric cycles. Enlarge Image. Two invisible lines in the atmosphere, roughly 30 degrees north and south of the equator, bound Earth's tropical zone. Scientists refer to these atmospheric bands—characterized by high pressure, dry climate, and subsiding air—as the width of the tropics. Various studies have shown that since 1979, the width of the tropics has grown at a rate of between 0.25 degrees and 3 degrees of latitude per decade. In an invited review for Nature Climate Change, a scientist at the U.S. Department of Energy's Pacific Northwest National Laboratory joined university collaborators in exploring the state of science on this issue, including an update on the driving forces and mechanisms of the expansion. They found that the expansion rate is likely at the lower end of the range previously indicated. These findings suggest that climate models can largely capture the observed expansion trend with existing best estimates of climate forcings. The expansion of the tropics of the atmosphere can exert myriad effects on land and at sea, including the shift of rain belts, expansion of deserts, exacerbating droughts and wildfires, and expansion of the low bioproductivity zones in the subtropical oceans. After a comprehensive review of the primary drivers for this phenomenon, researchers found that natural swings internal to the climate system, often projected on the multidecadal trends of sea surface temperature, played a larger role than previously thought. Additional research on the seasonal and regional signatures of the tropical widening could provide greater detail, as well as improved understanding of the underlying dynamical mechanisms. Observations and climate model experiments forced by changes to Earth's atmospheric composition reveal a poleward expansion of the tropics in recent decades. This timing implies a potential role of human activity, and theory and modeling suggest increasing greenhouse gas concentrations should continue to widen the tropics. However, previous observation-based studies show disparate rates of expansion, including many that are far higher than those simulated by climate models. In this review, scientists examined the rates and possible causes of observed and projected tropical widening. Specifically, they reviewed the primary drivers for the expansion: increasing greenhouse gas concentrations; depletion of ozone in the Southern stratosphere; release of absorptive pollutants like black carbon; and the multidecadal variation in the Pacific sea surface temperature (SST). 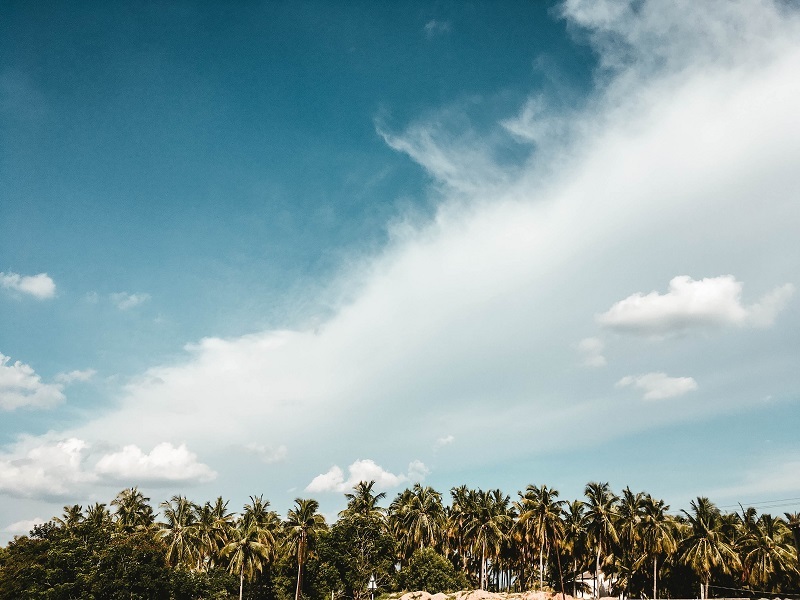 By accounting for methodological differences in previous studies, the researchers found the tropics have widened about 0.5 degrees latitude per decade since 1979, with a much narrower range than previously suggested. They noted, however, that due to the large natural variability, it is too soon to statistically detect robust widening imprints from human activities. Sponsors: P.W.S., K.M.G., T.B. and S.M.D. are members of working groups related to the topic of this review: the International Space Science Institute Tropical Width Diagnostics Intercomparison Project and the US Climate Variability and Predictability Program's Changing Width of the Tropical Belt Working Group. J.L. is supported by the US Department of Energy Office of Science Biological and Environmental Research program as part of the Regional and Global Climate Modeling Program. Research Team: Jian Lu (PNNL), Paul W. Staten (Indiana University Bloomington), Kevin M. Grise (University of Virginia), Sean M. Davis (National Oceanic and Atmospheric Administration Earth System Research Laboratory Chemical Sciences Division and University of Colorado at Boulder), and Thomas Birner (Ludwig-Maximilians-University Munich). Reference: P. Staten, J. Lu, K .M. Grise, S.M. Davis, and T. Birner, "Re-examining tropical expansion." Nature Climate Change 8:768-775 (2018). DOI: 10.1038/s41558-018-0246-2.